Discover solutions from top rated Houston Dentists. At The Comprehensive Dental Group, a Houston dentist and implant dentistry, we are proud to put more than four decades of experience to work for the patients who entrust their smiles to us. We understand that a trip to the dentist can feel anything but minor. That’s why we work so hard to ensure that our clients are not only given the best of the best in treatment but are also able to relax in an environment that is warm and comfortable. This begins with a spa-like atmosphere (including complimentary soda, water, coffee, and fresh baked cookies) which is paired with comprehensive care provided by a team of specialists. From cosmetic to restorative to general dentistry, we have your oral health needs covered. Let us help you transform your smile and reach peak oral health. Going to the dentist, no matter how minor or major the issue at hand—is never something many patients look forward to. While many Houston dentist offices may contribute to that popular sentiment— at Comprehensive Dental Group, we are determined to shatter that status quo, putting to use our combined experience of over four decades. We understand that the patients that entrust their smiles to us are being quite vulnerable to our care and our knowledge of general and cosmetic dentistry. We are humbled by their loyalty and make every effort to ensure our patients are treated like family and we build relationships through our outstanding dental and smile care. Your smile is important to who you are as a person, your oral health is what makes a healthy smile possible and our expertise and careful hands are what help create and maintain a perfect smile. Everything we do from décor, interaction, atmosphere, and equipment is all centered around the comfort of our patients. If you have suffered tooth decay, multiple missing teeth, oral trauma or severely misshapen teeth, then you know the impact on your self-image these conditions can have. Hiding your smile in photos, dreading social gatherings, worrying about what you can or can’t eat—these are all issues that come along with missing or misshapen teeth. Sadly, the stigma of tooth loss is unjustified and overly heightened in society as some rare issue. In fact, more than 30 million people suffer from complete upper or lower tooth loss in the US alone. The good news is, those are temporary problems because there is a permanent solution that is as natural as your own teeth in form, feel and function. 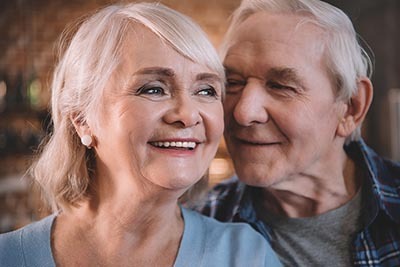 Dental implants from Comprehensive Dental Group offer the same appearance as natural teeth with advanced materials that with regular oral care can last a lifetime. No more adjusting bridges, dentures or worrying about what you can eat. Dental implants are available in a custom molded fit as a 1:1 replacement for your missing teeth and they will never decay! Now, that doesn’t mean proper oral hygiene and regular dental exams are not still needed, but it is the next best thing to having your own teeth. A dental implant is a prosthetic dental device that replaces the root of a tooth. The advantage of implants is that they bond with the jawbone just like your natural tooth root would. 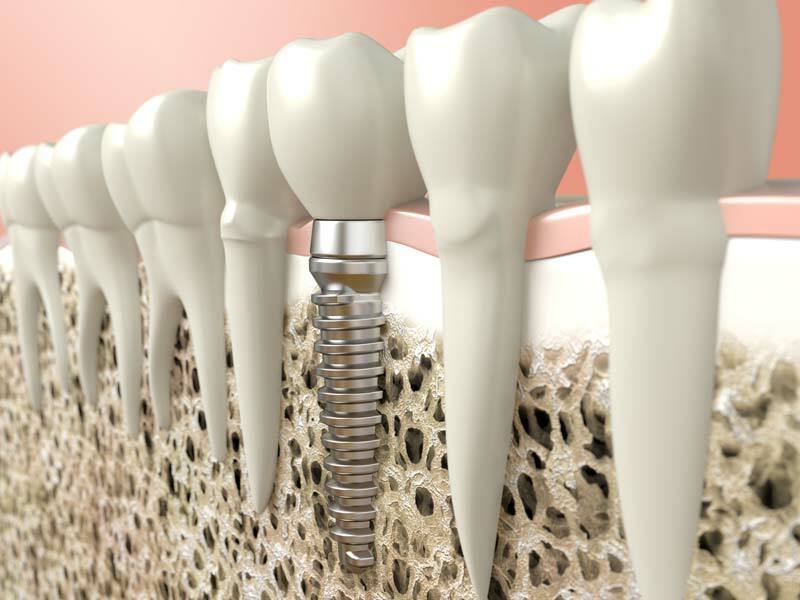 The implants are titanium screws inserted with minimal pain into the jawbone to bond with it. Once bonded a restorative crown is permanently affixed to the top to finish the natural looking replacement. Titanium is lightweight, biocompatible (your body will not reject it,) and it is stronger than bone or a tooth which is important for longevity. Dental implants have come a long way and now even if you’ve suffered severe oral trauma and lost all of your upper or lower teeth, there is an easy one-day solution for that as well! With most single dental implants, the procedure takes between one and three visits after the first consultation. Typically the first visit is for the implant surgery and then after the healing period you return for the crown application to the implant. It’s still a fantastic alternative to a metal crown or bridge but All-On-Four gets it done in just one day. All-On-Four or Teeth-In-A-Day®, as it is commonly referred as—eliminates the long waiting period of traditional implants. With All-On-Four, we take a more modular strategy and complete a full mouth reconstruction. Essentially we place four implants in strategic spots in your upper and/or lower jawbone. Since this process bonds with your jawbone for a permanent fixture, it feels natural and functions as such. Then, the uppers and/or lowers, rather than being placed one by one, are affixed as one piece onto the implants. 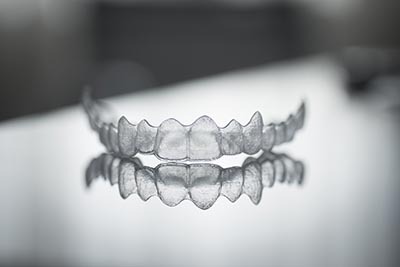 The modular prosthetics or “arches” of teeth are created in a dental lab that is on the cutting edge of implant technology with materials that are more durable than natural teeth but feel and looks just the same. They will never rot, but as stated, dental hygiene is still important to avoid gum disease and other oral health problems. The procedure is completed typically in one day with your brand new smile intact and with a little bit of Tylenol, you can go right back to work or your normal activities. This procedure is so far beyond dentures because it protects the dexterity of your jawbone and maintains your facial structure. Your life is busy. The last thing you need is to wait weeks or even months to schedule time to see your dentist. With our same-day appointments, you won’t have to! At Comprehensive Dental Group, you are not a number. You are a unique opportunity for us to change your life through our skills and extensive knowledge of oral care and cosmetic dentistry. From a general exam to a complete smile restoration, we value each and every patient and create a long-lasting relationship that is centered around your smile and oral health. 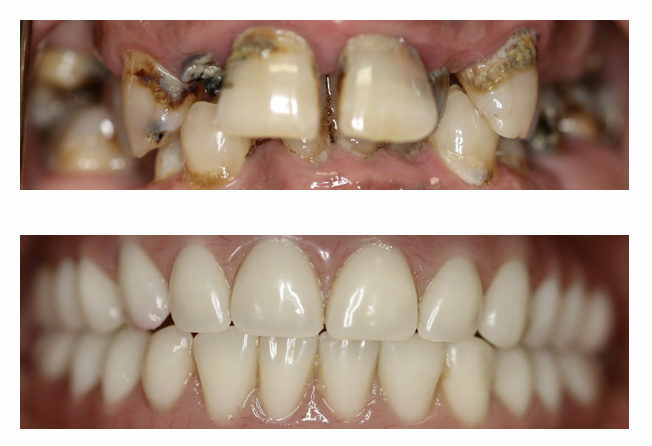 It is that attitude that has made us one of the top 3 dentists in Houston and the reason our new clients become loyal patients for decades because we deal in hope and restoration. You will find many dentists in Houston that tout a “spa dentistry experience,” and sure—the office is beautiful, the décor is expensive and elaborate and the extras go above and beyond. The problem is that it’s usually where the attention to detail and “going the extra mile” ends. You end up overpaying for basic to average dentistry at best—but, it’s in a nice posh setting so that makes it better, right? No, the sobering truth is that spa dentistry and luxury offices mean nothing if the service level doesn’t match the presentation. Essentially you end up paying for the office décor and not advanced dentistry. Our patients love that we are adamant that our service mirrors and exceeds our presentation. At Comprehensive our spa approach doesn’t end with your wait in the luxurious lobby with complimentary refreshments. Our spa approach goes beyond the surface and is a part of every aspect of your oral care. From warm towels and personalized internet radio to HDTV in every room with a full library of movies and shows for your relaxation—you are immersed in pampering accoutrements that take your mind off your procedure. We even provide compassionate sedation dentistry for those with severe anxiety about dental visits. There isn’t anything we haven’t thought of to make CDGH your favorite Houston dentist where you are made to feel at home. On your initial visit, we sit down and get to know you. We find out what your dental concerns are, what expectations you have, and most importantly—we tell you exactly what we will do to exceed those expectations. The other reason our patients view as the best dentist in Houston is the way we stay on the cutting edge of dentistry technology. Chances are if there is a new dental imaging workstation, a new dental implant technology or modality, or even something as peripheral as more advanced client management software—you will probably find it in our offices before any other dentist in Houston. Our dentists, support staff and even our office managers routinely attend dental technology conferences as well as other American Dental Association or American Academy Of Cosmetic Dentistry sponsored conventions and symposiums. At these conferences we learn about new products on the horizon for patients, modalities for treatment that improve patients quality of life, and other products and methods that make your visit to the dentist much more manageable and comforting. 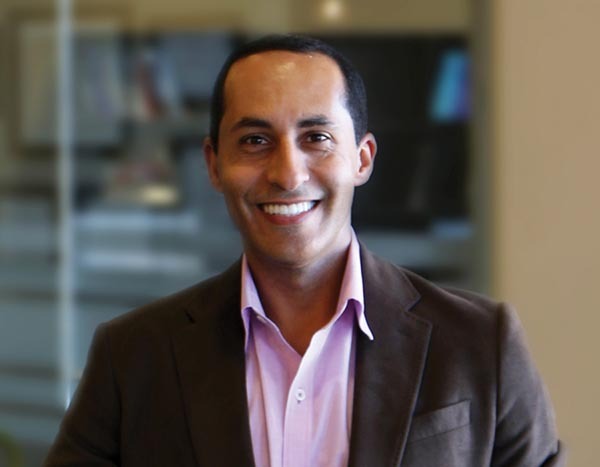 The bottom line is that Houston dentists cannot compassionately serve their residents properly and effectively without the best technology available in the field. At Comprehensive Dental Group, we demand the best for our patients so that we can give the best results. When it comes to routine oral care issues such as cavities and prevention, root canals, and routine cleanings—our general dentists handle these services in our spa-like facility with gifted precision. 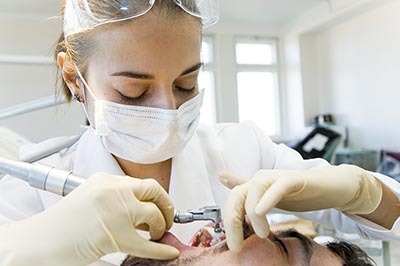 If the dentist determines you have some underlying issues such as tooth decay that will require extractions of your teeth, dentures or some type of solution that is outside the scope of general dentistry, this is where our specialists in cosmetic dentistry would step in to assist you in more advanced procedures. Tired of hiding imperfections in your smile from others? Do you wish there was a sensible solution to your cracked, misaligned or missing teeth? Maybe you just want to improve your naturally healthy-looking smile? 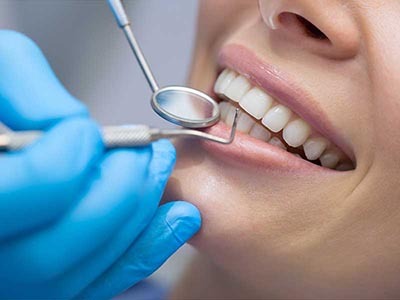 Houston cosmetic dentistry experts at Comprehensive Dental Group have all the experience, gifted hands and skills to perfect your smile with ease. Your smile is very important to your appearance, self-image and your emotional well-being. It is easily one of your most distinguishing features and even the slightest improvement can make a world of difference. Whether you have chipped teeth, stained teeth that are misshapen or even missing multiple teeth—our periodontists, cosmetic dentists, and prosthodontists have performed some of the best examples of cosmetic dentistry in Houston. Our cosmetic dentistry solutions create a perfect smile for you while maintaining your natural, albeit perfected appearance. It is easier now, more than ever to get the smile you want and deserve—in fact in many cases, it can be done in one day! 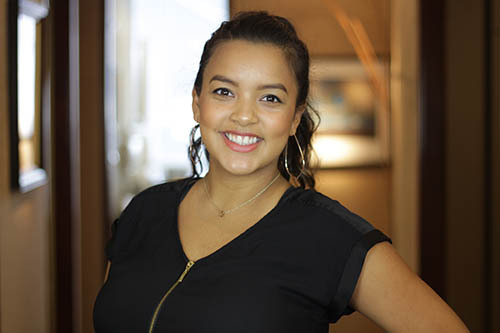 Our cosmetic team is built from some of the finest specialists in cosmetic dentistry Houston has to offer. There is a reason we are one of the top 3 dentists in Houston and it’s not just our luxurious amenities. The amenities are there to calm you and make you feel relaxed—our team of specialists and attention to detail is where the perfected, natural looking smile comes from. The only person who will know you have implants or cosmetic dental work is YOU.